Sign Up Today and Get a Free Tablet or Laptop! As an early childhood education center director, you juggle a multitude of responsibilities. Prioritizing staff training or even training for yourself can sometimes be overwhelming for many reasons. ChildCare Education Institute (CCEI) understands your heavy workload and we also know you want the best training available. With CCEI’s nationally accredited, high quality online professional development training options to meet the education needs of practitioners in a range of settings, you are sure to find the perfect option to meet your needs. Sign up for the Center-Based Annual Online Training Subscription now and receive a free laptop or tablet! Offer excludes membership renewals. Unlimited access to CCEI’s professional development library for one year. 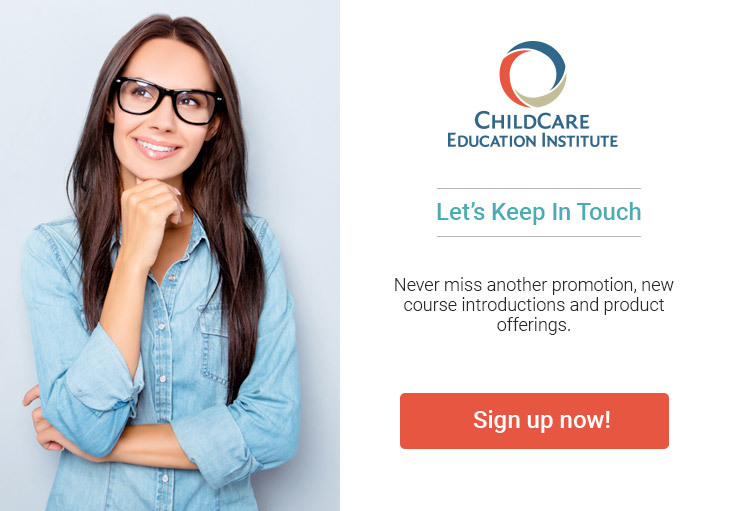 Over 150 online child care training courses in English and Spanish. Pre-service, orientation, and in-service training for new and experienced staff. Coursework that may articulate to college credit with one of CCEI’s college partners. A turnover provision allowing for the reassignment of an unused subscription to accommodate for staff turnover. Training topics in administration and management, health and safety, nutrition and food service, child development, guidance and discipline, inclusion and special needs, environments and curriculum, and many more. Assistance with technical and faculty support. IACET CEUs awarded for completed coursework. Access to an Activities Library offering over 10,000 unique and interactive activities for children. Administrative features allow the director to assign and monitor courses and print completion certificates. *Offer expires September 9, 2018. Product Code 20-SUB-PD applies to Promo Code DAB499. Product Code 50-SUB-PD applies to Promo Code DAB999. CCEI offers cannot be combined with any other offers or used for subscription renewals. Valid on new subscription purchases only. A $300 digital gift card which can be used toward the purchase of a Tablet or Laptop will be issued via email within 10 business days of subscription assignment and cannot be combined with any other offers or discounts.
" I found these classes to be exactly what I needed. I was a new mom at home questioning if I wanted to open a daycare. These classes not only convinced me but gave me the tools I need to support my family."